I’m very happy with this one. This is a very interesting object as well. The bottom right corner is orange from the reflection of the bright star Antares. The blue is a reflection nebula of a young star. 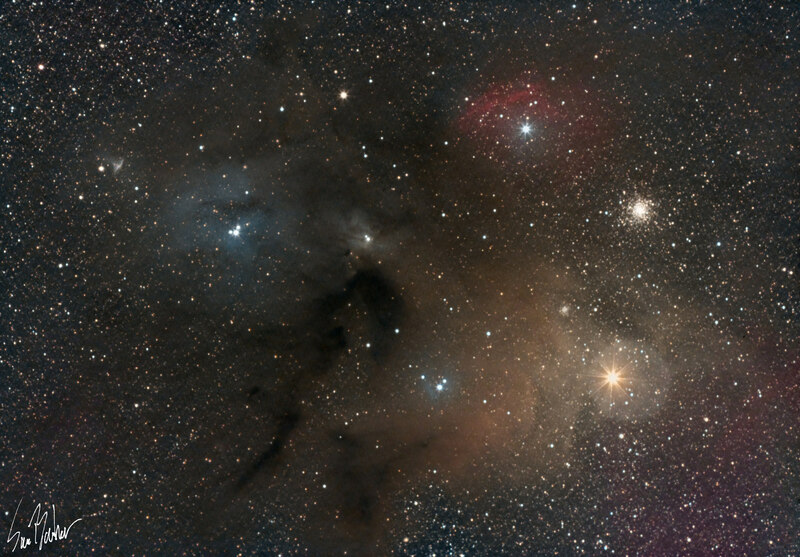 The red in the upper right is gas and dust that is being ionized by its nearby stellar companion. The clusters, M 4 (above Antares) and NGC 6144 (to the left of Antares) are both Globular clusters in the milky way’s halo, orbiting our galaxy much farther away than the gas in front of it.